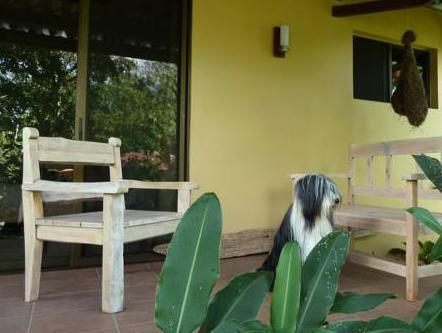 ﻿ Book Tacacori EcoLodge (Alajuela) - 2019 PRICES FROM A$136! Tacacori EcoLodge is set in the Alajuela Hills, 15 minutes' drive from Juan Santamaría Internatrional Airport and only at 30 minutes' drive from Poas Volcano site. It offers a shared sun terrace, exotic gardens and a free continental breakfast. 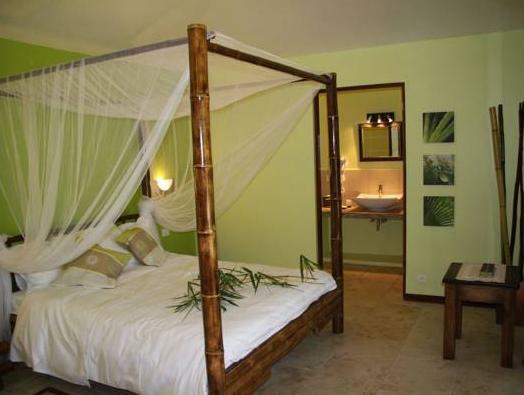 Tacacori EcoLodge bungalows feature bright décor and natural materials. Each bungalow has a private bathroom with hairdryer and a large terrace with garden access. All come with tea and coffee, a mini-fridge as well as free WiFi and a safe. Various restaurants are located within 2461 feet. Doka State and Alajuela's Farmer’s Market is 10 minutes’ drive away and the nearest supermarket is 2.5 mi away. Tacacori EcoLodge also offers services such as car rental with GPS, airport shuttle, excursions, luggage and laundry service. The Tacacori has free parking and is 45 minutes’ drive from La Paz Waterfall Garden. This eco-lodge is designed in accordance with its environment and ecologically manages energy, water, waste and maintenance, it‘s a successful integration in a luxuriant environment. A car is recommended. The lodge does not have a restaurant. If you expect to arrive after 21:00, please contact the lodge in advance. Contact details can be found on the Booking Confirmation. If you arrive after 21:00, you are advised not to rent a car at San José Airport. Hôtel can arrange car rental service, please consult us in advance for a quote. Please note that all special requests, like extra cots/beds, are subject to availability upon check-in and must be confirmed by management. Please inform Tacacori EcoLodge of your expected arrival time in advance. You can use the Special Requests box when booking, or contact the property directly using the contact details in your confirmation.